Add a comment about that car design picture. Designerspace philosophy: Please be respectful. and will not be used by Designerspace for a commercial use. Add a link to my porfolio. about that car design picture. My car design pictures instantly online, for free! Designerspace is a really interactive and unlimited car design gallery. Manage your car design portfolio yourself: Add, modify or delete your car design pictures in a few seconds. 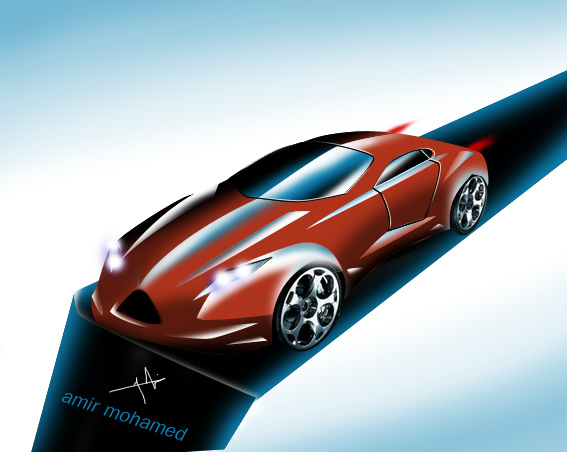 And show all your best car design sketches and concept cars, without quantity limitation. Your new car design pictures will be instantly displayed on your portfolio and on the pages "New pictures" and "Panorama". Are you the best car designer? Show your talent! Enter the contest: "Designerspace Awards 2006". A world automotive design contest organized by Designerspace. Deadline: October 24th, 2006. Results: December 1st, 2006.